Participation in outdoor recreation and fitness activities is set to rise, with NSW Nationals Leader and Member for Monaro John Barilaro announcing $750,000 for major upgrades to sporting facilities across the Snowy-Monaro region. Showgrounds and sportsgrounds across Jindabyne, Bombala, Dalgety and Delegate will see major improvements and upgrades, with a focus on providing infrastructure to boost community engagement. Soon, the Dalgety community will be able to gather along the banks of the Snowy River for a game of tennis; the Jindabyne Cricket Club will have their own home ground; the Bombala Cricket Club will have a new pitch installed; and the Delegate Showground will be properly irrigated. 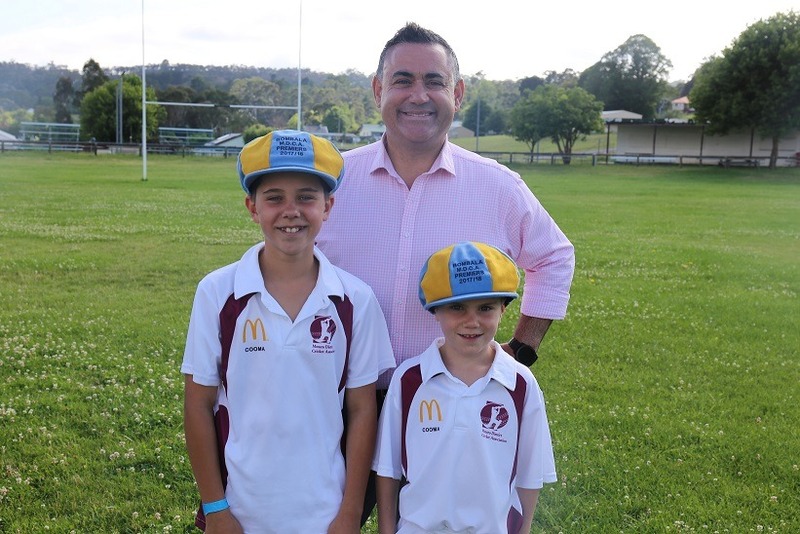 “Our communities in Jindabyne, Bombala, Dalgety and Delegate come together to enjoy the local shows or sporting events at these four places, and the grounds receiving upgrades really are at the heart of these communities,” Mr Barilaro said. Mr Barilaro said major works will be undertaken at the Jindabyne Sportsground, Bombala Showground, Dalgety Showground and Delegate Showground. $450,000 for upgraded amenities, changes rooms and seating, as well as the installation of a new cricket pitch at Jindabyne Sportsground. $80,000 for the installation of a new cricket pitch and electrical and lighting upgrades at Bombala Showground. $100,000 for the refurbishment of the tennis courts, installation of a new cricket pitch and electrical and lighting upgrades at Dalgety Showground. $120,000 for the installation of an irrigation system and new seating at Delegate Showground.